There are many reasons why an amputation may be necessary. The most common is poor circulation because of damage or narrowing of the arteries, a condition called peripheral arterial disease. Without adequate blood flow, the body's cells cannot get oxygen and nutrients they need from the bloodstream and the affected tissue begins to die and infection set in. Whatever the reason, amputation is a life changing procedure that is approached with the utmost care and consideration for your ongoing quality of life. Osseointegration is one such consideration. Osseointegration is derived from the Greek word 'Osteon' meaning 'bone' and the Latin word 'Integrare' meaning 'to make whole.' It is defined as the direct contact between living bone and the surface of a synthetic implant. The process is much more common than you might think – a dental crown is a form of osseointegration for example. The same techniques that make many a smile possible now makes possible the surgical implantation of an artificial joints that in turn has dramatically improved the quality of life for many amputees. The implant is made of titanium, which is coated with a surface that allows for the bone to grow into the implant. In addition there is a layer of hydroxyapitate coating which attracts bone cells to adhere and grow into. These materials are extremely biocompatible and the body will not reject the implant. There are no permanent medications required. Advances in prosthetic technology now offer unparalleled advantages to amputees compared to traditional suction prosthesis. Meet Erik, an amputee who lost his left leg above the knee after an accident. Phil first met Erik back in 2000, not long after he had become one of the first patients to ever receive osseointegration of the lower limb, a procedure performed by Dr Rickard Brånemark (pictured below, right). Dr Rickard's own father had invented osseointegration for dental work many years before him.  Back then Phil was an eager student of Biomedical Engineering, fascinated by the possibilities of merging pre-existing, cheap technology with medicine. Many moons later, Phil had the privilege of meeting Erik and Dr Rickard again. In that time, many advances in technology have meant increasingly greater possibilities for patients. 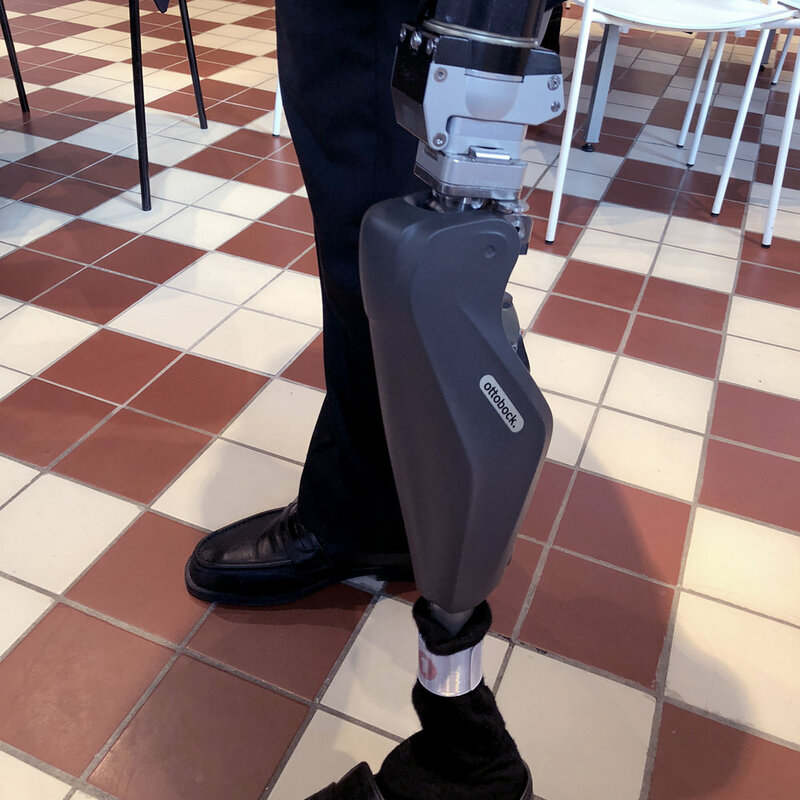 As you can see, Erik has benefitted from many improvements over the 18 years since first needing a prosthesis, and no doubt will continue to benefit from the many recent advances in robotic technology. Dr Rickard continues to forge ahead, leading the way for a new generation of orthopaedic surgeons to follow, and continuing to show that the principles of osseointegration can be applied far beyond dentistry to change lives. Indeed, as robotics continues to become more and more 'human', the possibilities are becoming more and more advanced, as demonstrated by the video below. Left femur with osseointegrated implant and prosthetic. As no two osseointegration patients are identical, the surgical process will vary slightly from patient to patient depending on their condition and needs. Generally, osseointegration is performed in either a single surgery or in two stages depending on the patient's existing conditions and suitability. The soft tissue is managed and redundant skin and soft tissue fat is removed in order to minimise the bone to skin distance. This leads to a reduced chance of complications. The muscle groups are rearranged to serve a functional purpose in operating the leg and the soft tissue facial layer is reorganised around the stem. 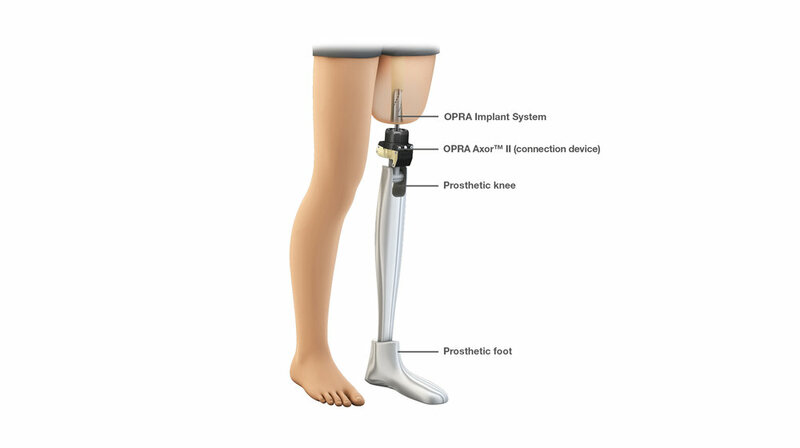 Partial weight-bearing and the fitting of the lower prosthesis can take place as early as a few days after surgery. This is done under careful supervision from Phil and the rehabilitation team. From here on, rehabilitation and gait training can commence. Care should be paid to the opening (stoma) through which the external adaptor passes out of the stump. There will be a small amount of discharge from the stoma. This amount varies from patient to patient and some have none at all. With normal daily hygiene the risk of infection is very low. Washing once a day in the shower, paying attention to the stump and stoma is all that is needed. While it is a very exciting time and the urge to push yourself is often strong, it is recommended that you build up your walking slowly to avoid any injuries caused by pushing yourself too hard too soon. In order to ensure the implant is safely integrated into the bone you are required to only partial weight-bear for the first 12 weeks. This means walking with at least one crutch or walking stick for this time period. As a general rule, excessive rotation such as pivoting and sharp twisting should be avoided. However, if high levels of strain should occur, the implant system is designed to yield to protect against a bone fracture occurring.